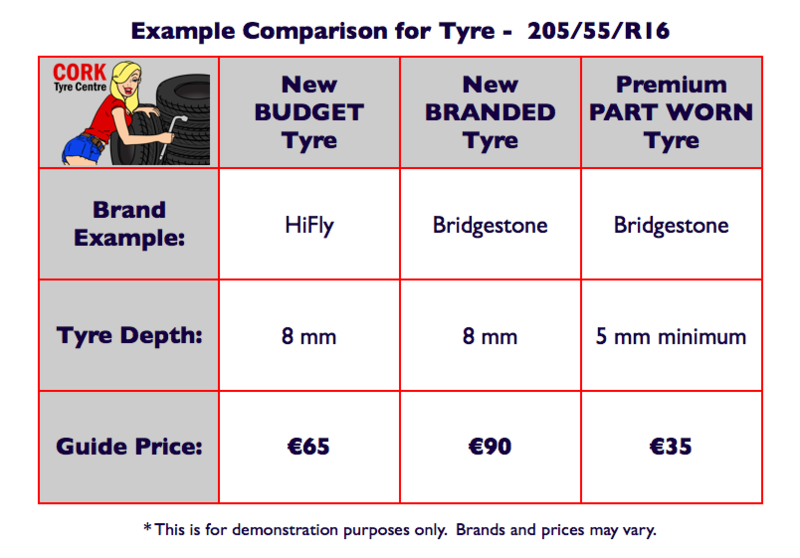 Please see the example below to give you a price comparison for New Budget, New Branded and Part Worn Tyres. This example is for a 205/55/R16 Tyre. Please note this is an example only, brands may vary also prices. Call us for a complete quote now on 083-1980602, or fill in the Quick Quote form by clicking HERE.